Marvin Louis Sapp was born on the 28th January 1967, in Grand Rapids, Michigan, USA. He is a singer and songwriter, well known for performing with the band Commissioned as well as in his solo career. As a solo artist he has won 11 Stellar Awards, 2 BET Awards and GMA Dove Award. To add more, Marvin founded the Lighthouse Full Life Center Church in which he works as a senior pastor. 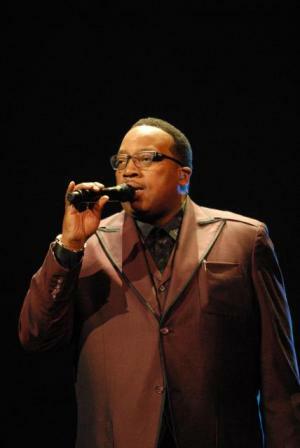 Marvin Sapp has been active in the entertainment industry since 1991. How much is the net worth of the singer and pastor? It has been estimated by authoritative sources that the wealth of Marvin Sapp is as much as $3 million, as of the data in mid-2016. To begin with, Marvin grew up in Grand Rapids, and at 4 years old he started singing in the church choir, later singing in various Gospel ensembles and bands. Sapp studied at the Aenon Bible College, but he dropped out of it as a popular gospel singer Fred Hammond invited him to sing in the urban contemporary gospel group, Commissioned, in which Marvin sang from 1991 to 1996, and together with the band released the albums “Number 7” (1992), “Matters of the Heart” (1994) and “Irreplaceable Love” (1996). Marvin decided to leave the gospel group in order to pursue his solo career, with his position taken by Markus R. Cole. Concerning Marvin’s solo career, it has increased the net worth of Sapp considerably; he has released nine studio albums and a compilation album. In 1996, he signed a contract with Sony label and released the debut album “Marvin Sapp”, but it failed to enter the Billboard charts. The following year he changed his label to Word and released the studio album “Grace & Mercy” (1997) which appeared in 11th place on the Billboard Gospel chart. The further, the better – all the other albums took really high positions in Billboard Gospel Top 10. The most successful album, which took the top position on the above mentioned chart, 4th position on Billboard R&B and was also certified gold was “Thirsty” (2007). Moreover, the lead single of the aforementioned album “Never Would Have Made It” (2008) was certified platinum and topped the Billboard Gospel chart. It should be noted that Sapp is the author of many other popular albums, which topped the Gospel chart including “Here I Am” (2010), “I Win” (2012) and “You Shall Live” (2015). As a founder of the church and a pastor Marvin has been granted honorary doctorate degrees from the Doctor of Ministry from Friends International Christian University and a Doctor of Divinity Degree from Aenon Bible College, although these institutions are not credited in the USA. Finally, in the personal life of the singer and pastor, he was married to Ma Linda Sapp, who was also a pastor in the Lighthouse Full Life Centre Church; she died suffering from colon cancer on the 9th September, 2010. The family has three children Madisson, Mikaila and Marvin II.